We’ve all been taught that golf has a steep learning curve. Will Robins, a Golf Digest Best Young Teacher and one of the game’s boldest thinkers, says that’s just not true. 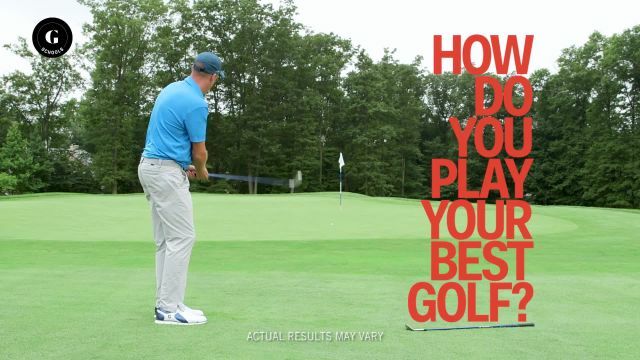 With better strategy and small changes in technique, you can play better, faster—and have a lot more fun. In eight video lessons, “The Will Robins Plan: Beginner Basics” will teach you how to read situations on the course, push away the intimidation, and use your smarts and natural skills to play at a higher level. Sometimes it’s about picking the best shot to hit, or steering away from potential disasters, or not letting your ego take charge. Golf is not a mental game, says Robins; it’s an emotional game. The better you manage yourself, the better you play. So don’t listen to the talk about golf being hard. Let Will Robins show you how simple good golf can be—and how much fun it is to play better.